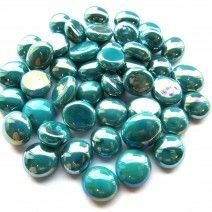 Glass Pebbles (also known as glass gems or glass nuggets) are available in a wide variety of colours, finishes and sizes, they are round or oval in shape with a flat bottom. 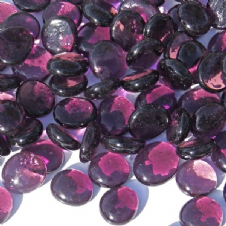 These stones are perfect to add to mosaic or art projects or even as decoration around the home. 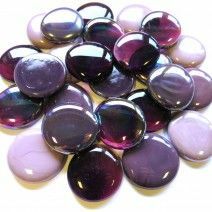 These Glass Pebbles (also known as glass gems or glass nuggets) are available in a wide variety of colours and finishes. The stones measure approx. 17-20mm but because of the manufacturing process may at times be slightly smaller or larger, they are round or oval in shape with a flat bottom. These stones are perfect to mix with the mini and large stones adding texture and variety to your projects and arrangements. 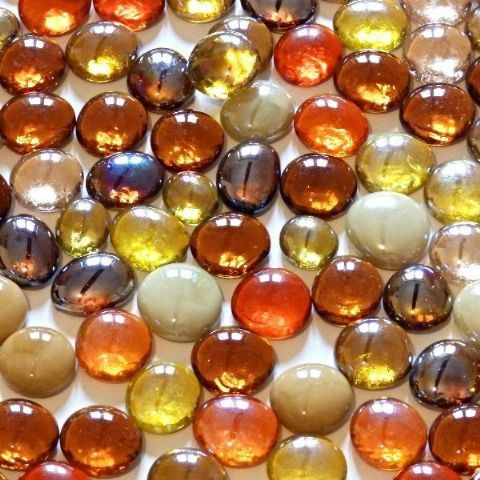 Miniature Glass Pebbles, used for mosaics and other decorative crafts or home decoration such as vase fillers, floating candles, plant toppers, wedding decoration, fish tanks etc. These pebbles measure approx. 10-15mm and come in a variety of beautiful colours. 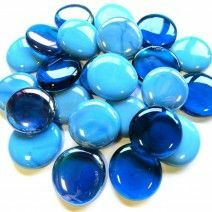 Large Glass Pebbles / Stones that can be used for mosaics and other crafts, also for home décor such as vase fillers and floating candles. These Pebbles measure approx. 30-40cm and come in a range of beautiful colours.